Atty. William A. McDermott, Jr.
A top Boston lawyer who was working for Congressman Stephen Lynch’s U.S. Senate campaign died on Wednesday night after a Range Rover hit him in South Boston. 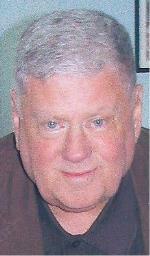 William A. McDermott, Jr. was 66. An attorney who specialized in elections laws, McDermott grew up in Savin Hill. He was a son of the late William A. McDermott, who was a longtime assistant corporation counsel for the city of Boston. A former state representative from South Boston, Brian Wallace, wrote a Facebook post on Thursday morning, saying, "South Boston and Savin Hill just lost one of their finest, most intelligent, most politically knowledgeable citizens and friends last night." Wallace called McDermott the "pre-eminent political go to guy in cases of anything and everything political, especially recounts. There was nobody better, and he was hired to do recounts from Presidential Elections to local Selectman recounts." Visiting hours are set for the Murphy Funeral Home at 1020 Dorchester Ave. on Sunday from 2 to 6 p.m. A funeral mass will be held at St. Margaret Church of Blessed Mother Teresa Parish on Monday, March 4, at 10 a.m.
Suffolk District Attorney Daniel Conley’s office said State Police detectives were investigating a “fatal collision” on Day Blvd., near L St., but he did not immediately release the victim’s name. McDermott was well known on Beacon Hill and in City Hall, where he served as an elections commissioner during former Mayor Kevin White’s tenure. His law office is located in West Roxbury. UPDATE: This post was updated at 8:46 a.m. with a statement from former state Rep. Wallace and at 9:09 a.m. with a statement from Congressman Lynch. The post was updated again on Friday at 2:20 p.m. with information on services.